Two big festive events in Flamborough celebrated milestones this year. 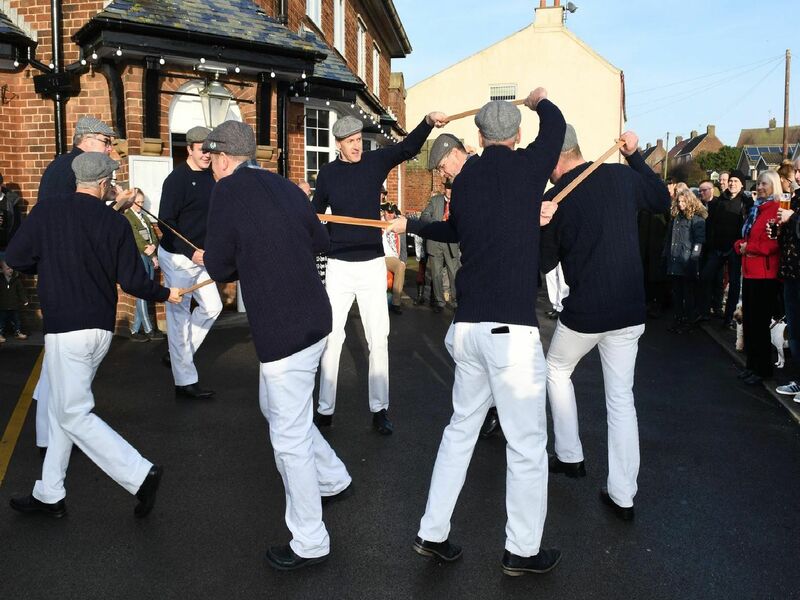 The village's pre-school held its 10th Boxing Day Dip, which saw more than 50 people head into the water at South Landing, then the village's sword dancing teams took centre stage, performing around the village throughout the day, 40 years since the tradition was revived. Ready to hit the water at South Landing. The senior team ready for the first of their six performances. Pre-school staff Maria Murray, Catrina Golden and Shannon Anderson as the Three Little Pigs. This year's fancy dress theme was children's story book characters.